Paint protection film (PPF) works as a virtually invisible self healing polyurethane layer of armour that is wrapped over your vehicle’s paintwork. The PPF maintains an indefinite showroom finish by fully protecting the paintwork from stones, road debris, minor scuffs, birdlime and insect splatter. As a result your vehicle will maintain that impeccable condition throughout its life, increasing its residual value should you choose to sell it. This allows you to fully enjoy your pride and joy, with peace of mind that you fully protected for road and track use. If you are looking for a way to keep your vehicle looking better for longer, paint protection film may be the end of your search. This decision ultimately comes down to your requirements and preferences. If you are looking for the ultimate finish to the paintwork, then a perfectly corrected finish with a ceramic coating will produce the best gloss and clarity. 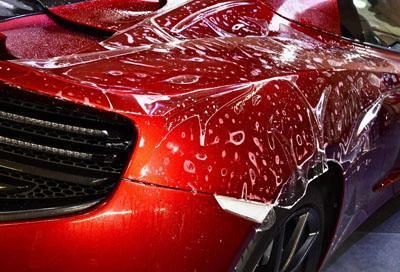 However it will not protect against stone chip damage, swirl marks and scratches. If you are looking for a functional finish which can be exposed to all weather conditions, protects against stone chips, eliminates the risk of swirl marks, scratches and vandalism then paint protection film is the best solution. In addition to their stain resistance and superior optical clarity, another amazing benefit of our paint protection films (PPF) are their self healing abilities. Once left for 30 minutes at room temperature, or if exposed to the heat from the sun or artificial heat, our films will immediately heal themselves from swirl marks, light scratches and etching from birdlime or insect splatter. These imperfections will literally disappear before your eyes, something that has to be seen to be believed. It is achieved through movement of elastomeric polymers that are specifically used in the polyurethane top layer of PPF. All of our PPF is cut in house using our state of the art 60 inch Graphtec plotter. 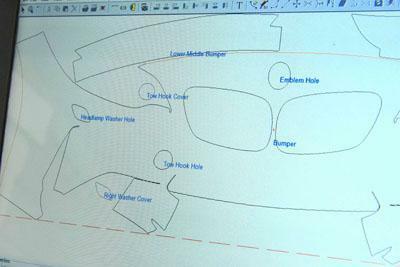 We have access to a database of digitally designed patterns for thousands of vehicles ensuring precision cutting and accurate alignment to the panels of your vehicle. When installing the film we can wrap and tuck every edge possible ensuring that the install is free of ugly lines and seams that would otherwise accumulate dirt and wax during the life of the film. If necessary we will remove and replace badges,resulting in a high quality install that is virtually invisible and will stand the test of time. 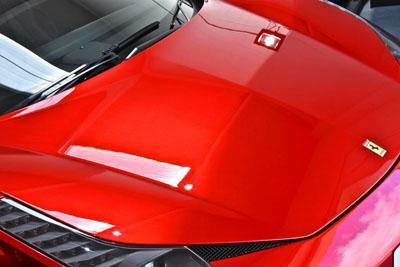 We also offer a self healing satin finish paint protection film in the form of XPEL STEALTH. This is more beneficial for vehicles with factory satin paintwork, however it can also be applied to gloss paintwork to give your vehicle’s original paintwork a satin look. These films have exactly the same properties as the gloss ones but with the addition of a satin finish. As soon as the vehicle arrives on site a full inspection of the condition of its paintwork is carried out under our LED lighting and with the use of a sun gun. This is done with the owner present so that we can determine if any paint correction needs to be carried out prior to the PPF being installed. The vehicle is then fully cleaned, paintwork fully decontaminated through chemical and mechanical processes and then fully dried. 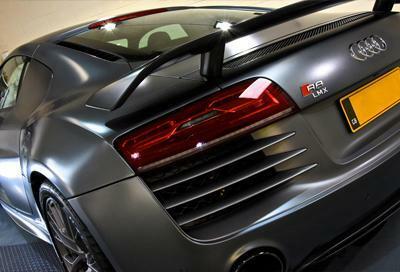 If any paint correction is required this will now be carried out. 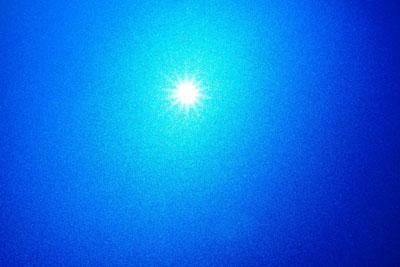 We can then move onto the installation of the PPF. After the installation is complete we will carry out the quality control checks before the vehicle is cleaned and waxed. Now the vehicle is ready for collection. All of our PPF installations come with a 10 year manufacturer’s (XPEL) warranty against yellowing, discoloration, peeling, cracking and hazing. In the very unlikely event of an area of the paint protection film failing we will replace the affected area which on inspection is deemed to not meet this criteria during the course of its warranty (from date of purchase). Of course the warranty does not cover damage to PPF caused by accidents, collisions, intentional or unintentional misuse, ordinary wear and tear or damage caused by products or cleaners not recommended for use on PPF. As well as the warranty we provide clients with thorough after care advice and documentation to help keep the vehicle looking great for many years to come. For more information, warranty exclusions, full terms and conditions or after care information please contact us.